Co worker goes on vacation and buy trinkets for the shop; she buy Hello Kitty item for me. 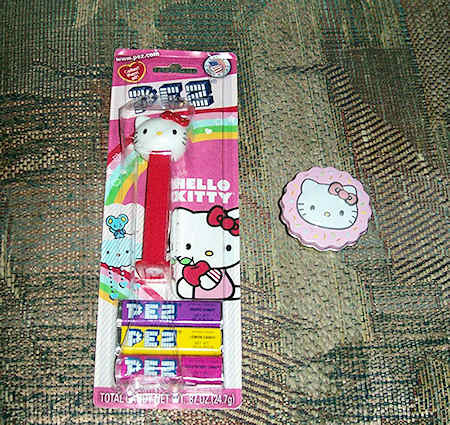 This entry was posted in Hello Kitty, Male Fans, Merchandise and tagged coworkers, pez, work by Actonrf. Bookmark the permalink.